The illustrated Case Knife is the (6344SS) Case Medium Stockman Knife that features clip, sheepfoot and pen blades made of Tru-Sharp surgical stainless steel with nail nicks for opening. The Jigged Brown Synthetic handle of this Case knife, 3 1/4" closed, comes with a nickel silver Case shield and nickel silver bolsters. 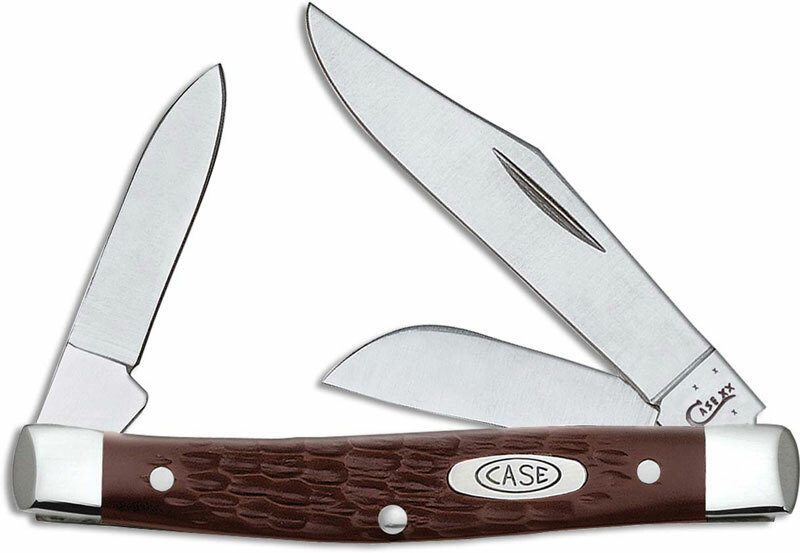 The Case Medium Stockman Knife with Jigged Brown Synthetic handle weighs 1.7 ounces. Made in the USA.